Excel in Russian right away! "Learn Russian - 50 languages" (www.50languages.com) contains 100 lessons. 30 complete lessons are included in the free app. The app provides you with basic Russian vocabulary. You will need no prior knowledge to learn Russian. You can learn to fluently speak short Russian sentences. In real-world situations: In a hotel, restaurant, store or bank. Or, on a vacation, for small talk, at the doctor, and many more. 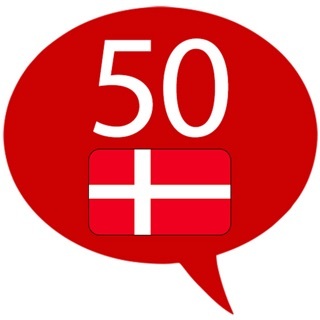 Audio and text are combined in the 50 languages method. They help you effectively learn Russian as a foreign language. 50 languages corresponds to the Common European Framework levels A1 and A2. It is therefore ideal for all types of language classes and schools. The audio files can effectively supplement learning in language courses. Adults who learned a language in school can use 50 languages to refresh their knowledge. The app is available in over 50 languages. It includes approximately 2500 language combinations. The 100 lessons help you learn Russian as a foreign language quickly. Just download the audio files from www.50languages.com to your mp3-player. Listen to them anywhere - at bus stops or stations, in the car, and during a lunch break! To get the most out of 50 languages, learn one lesson a day! Regularly repeat what you have learned in previous lessons. Learn a new language - learn Russian with 50 languages!